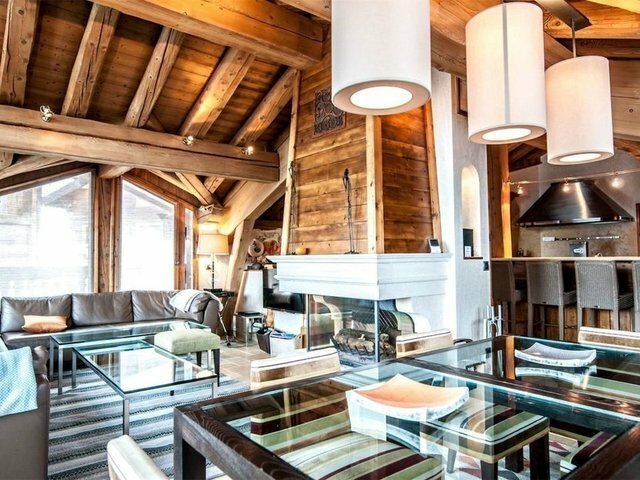 A well presented superb chalet of 180 sq m located in the area of Cospillot in Courchevel 1850. For sale by Savills Courchevel. The chalet offers a beautiful view of the valley from the impressive balconies. The chalet composes of a living room with a fireplace, a dining area and a kitchen. There are 4 bedrooms including 1 en suite master bedroom with a dressing room, 2 double en suite bedrooms and 1 further double bedroom. In addition the property includes a sauna with a relaxation area, a ski room and terrace. Table of fees available online at savills.fr and on request. Courchevel is one of the most famous holiday resorts, famous for its luxury hotels and restaurants, including a dozen Michelin starred restaurants. Courchevel contains some of the most luxurious and stunning chalets and properties in the world. It is situated around two hours in car from Geneva and the international airport of Lyon.